Last chance to win an Apple Watch - ends tonight! Last chance to win an Apple Watch – ends tonight! The Apple Watch has been turning wrists and heads for a few weeks now, making many of us jealous of our friends who are “lucky” enough to wear it. If you’d like this beautiful new piece of tech on your wrist, enter our giveaway for a chance to win the Apple Watch of your choice! But today is the last day to enter, so you’ll need to get your entries in…now! Beautifully designed, perfectly crafted out of corrosion-resistant stainless steel. and armed with a gorgeous interface that’s powerful yet easy to use, this is the smartwatch other wearables will emulate. Track your workouts, monitor your heart rate, check the weather, navigate your way to your next destination, read your email, make calls, send texts, share scribbles, and stay up-to-date with all your phone’s notifications — all on a sleek timepiece that enhances your style every second of the day. Here at TNW Deals, we’re not just giving one away for free – if you win our sweepstakes, you can even pick whichever Apple Watch you like for up to $750 in value! Go with the sports band to power up your workouts, or add a touch of class with the black leather strap. If you enjoy fine craftsmanship, turn to the cleverly designed Milanese loop. The choice is yours. Just visit the Giveaway page and submit your email address to enter. You can even improve your chances of winning by sharing our contest on Twitter. 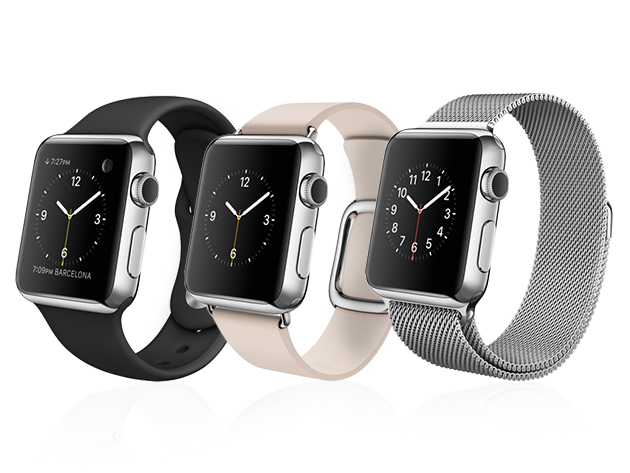 Enter now, and be the lucky winner to receive a brand new Apple Watch that suits your style.